What is Online Accounts Payable Software? Online Accounts Payable Software provides a company with the tools to input bills and any moneys owed, meaning that the company can keep track of their accounts and expenditure in an automated fashion. The Accounts Payable Software here is offered under the SaaS (Software as a Service) model, meaning that the software is web based, hosted on the Cloud and can be accessed when needed through a client or web browser. 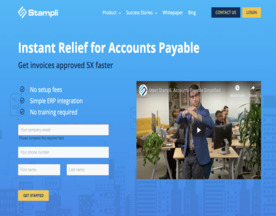 If you’re looking for more online software similar to Accounts Payable Software, consider our Accounts Receivable and Billing & Invoicing Software categories.